Will Nickley, of Local Tech Heroes, chats with Burke and Amy at Columbus Idea Foundry. 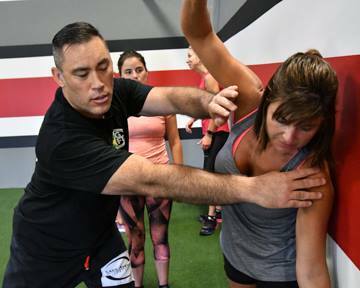 Trainer James of The Warehouse Gym had a charity self defense class, taught by Dan Siegel of Triumph Brazilian Jiu Jitsu. The group learned a lot, and contributed to a program assisting women who are fleeing violent homes. Burke and I hope to connect you to Dan very soon! Also on tap for the remainder of the weekend, a stop at Land-Grant Brewing and Columbus Park of Roses.